Packaging design for an independent beverage company to re-brand their line of 100% natural, carbonated juices, BBDK responded with a simple question. 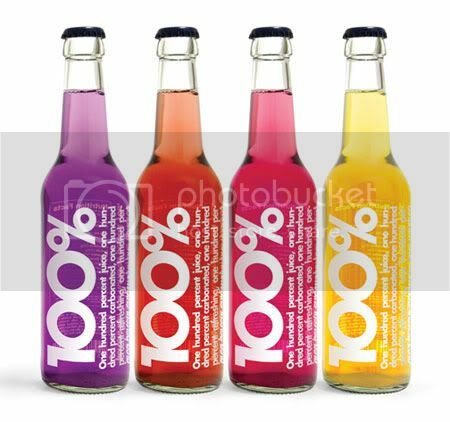 “Why not call it 100%?” Graphically, BBDK felt that nothing said pure better than clean graphics and a direct statement so the packaging truly reflected this ideology. Using purely bold & white typography, the different colors of the drink made the perfect background for these drink. This direction also helps to differentiate these beverages from all of the other ‘natural’ soda options.